I think I'm in love... with a nail polish brand that is. When I popped into 'Space NK' on my 20 minute break today, I was instantly drawn to a beautiful collection of nail polishes - like the true addict that I am. I was intrigued. 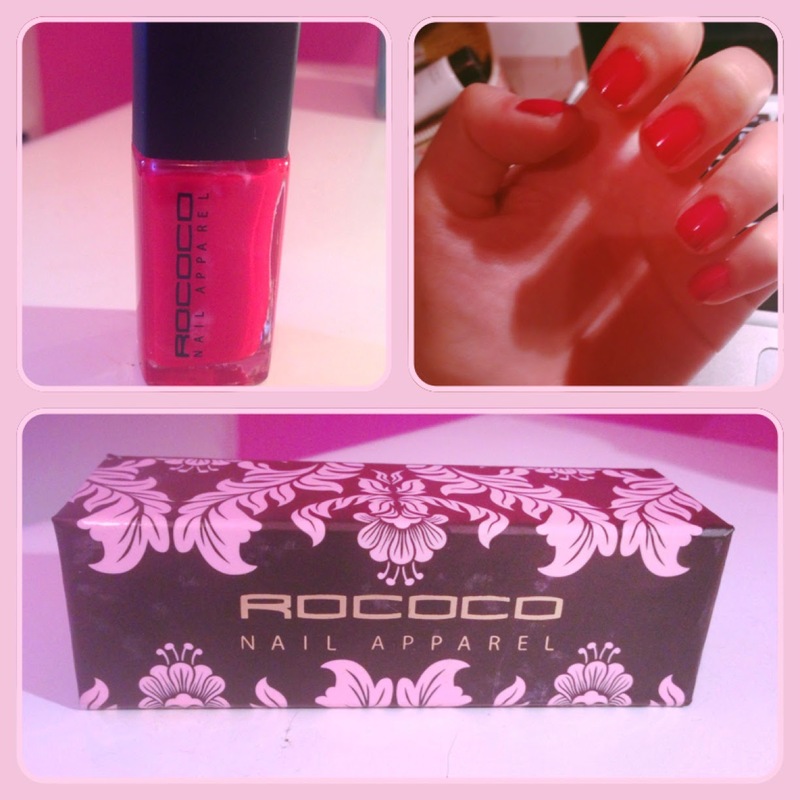 I'd never heard of the brand 'Rococo' before. Like I wrote yesterday, I went into 'Space NK' to thank them for the cute little goodie bag they dropped off at my work a couple days ago. Seeing as they were so generous I thought it couldn't hurt to purchase a single nail polish as a small thank you... who am I kidding, I wanted this colour. It's called 'Pop Culture' and it's a shocking red shade with a subtle glittery base. I've steered away from reds like this in the past because I thought such bright shades wouldn't compliment my skin tone. I like to think I've been proved wrong here. Of course it's a bright fantastic colour but the slight shimmer tones it down just a bit. Plus, the product itself is really great quality - I did purchase it from 'Space NK' after all. The consistency is not too thick and goes on smoothly and without fuss. Two coats in more than enough, plus the brush made for really quick and easy application. I'm pretty chuffed with this little present to myself - think it's the perfect shade for my Cornish holiday which starts tomorrow. Cannot wait!